Book your MBJ Airport transportation to Royalton Negril Hotel and Hideaway at Royalton Negril, relax in comfort, no long waiting on taxi service, private transfer guaranteed. Booking is easy and convenient. In minutes you will be off in your reserved private vehicle, hassle-free transfer, personalized service, luxury, in fully air-conditioned vehicles. Transportatation pickup instructions: As soon as you exit customs hall and immegration, proceed to the front exit, where our agent will be waiting holding a company sign bearing your name. I used your car service for a round trip to and from the resort at the airport on April 21st and 28th. I truly have to say Mr. Andrew was the best driver I have ever has and I travel all the time and use a car service!!!! He made sure the temperature was just right in the car for us. He did not have loud music blasting, the car was very clean and I could go to sleep while he drove because I felt completely safe!!!!!!!!!!!! He promised us he was going to pick us up at 11 am to take up back to the airport and he was NOT a minute late. Now sometimes I get car sick, not from the person driving, just motion sickness and yes it happened to me on the way to the airport. Mr. Andrew pulled over and rolled those windows down for fresh air and I felt better. He was very concerned and made sure I felt better before continuing the drive!!! Please tell Mr. Andrew Trennia and Arao say Hello and thanks for the wonderful service!!!!!!!!!! 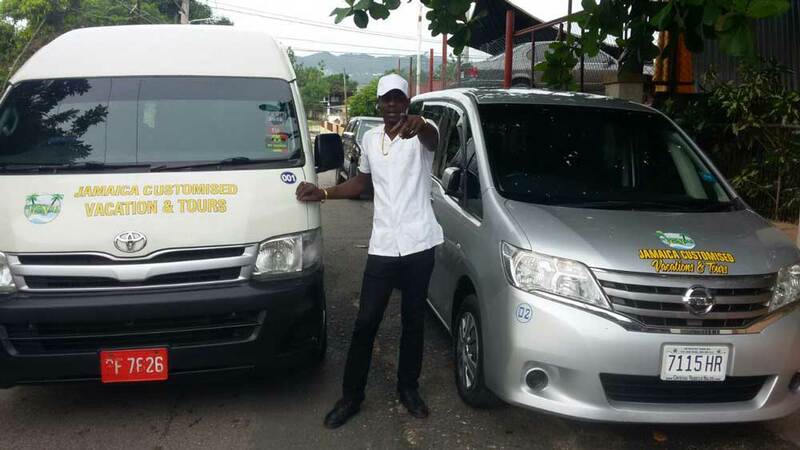 It was my first visit to Jamaica, JCVT staff made it easy and hassle free, Nicolette was waiting for us when we arrived, she was very helpful, our driver Kevin to the resort and back eas great, I felt very safe. I am happy I booked my trip with them. Thanks Kevin for a wonderful trip, very professional and informative, I am looking forward to my trip back to the airport, see you soon!!! !